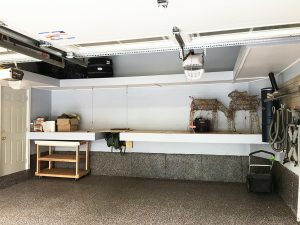 This 50 year old bungalow needed a garage renovation. 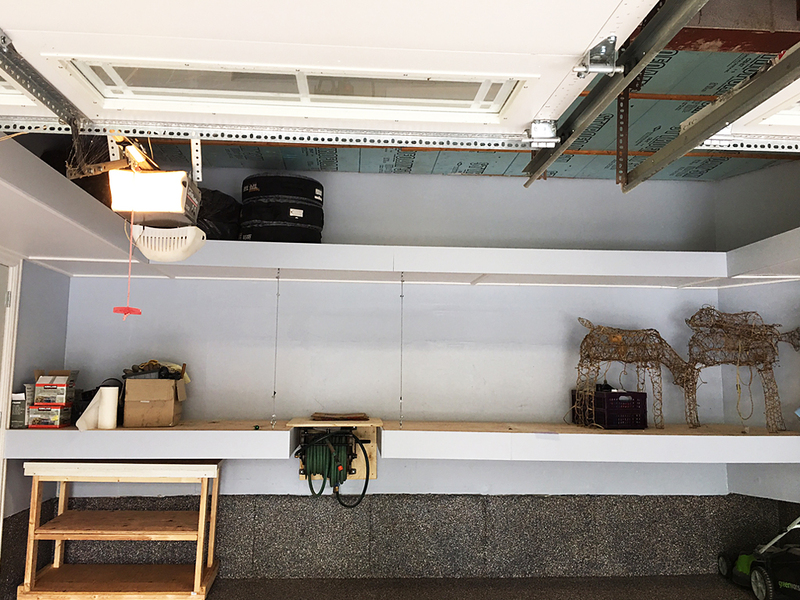 The original garage was bare bones with a wood shelf built at the back to hold a small number of items. 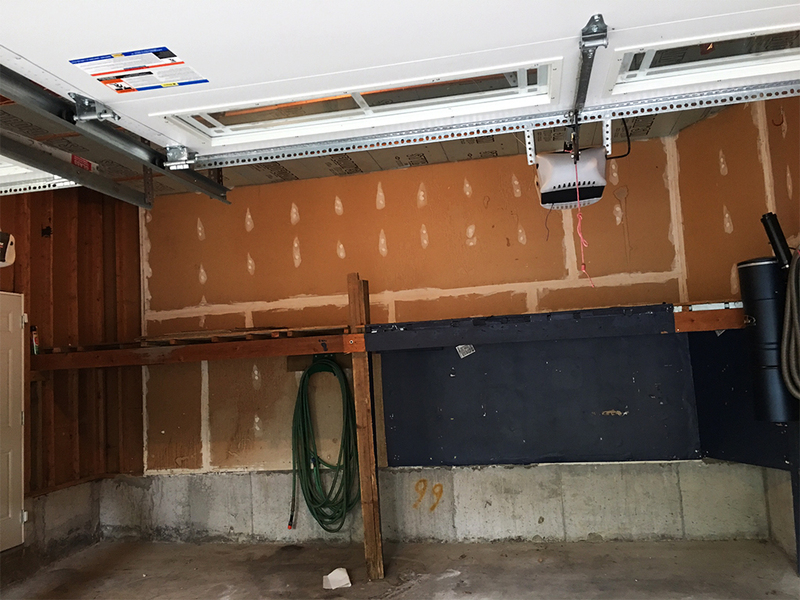 But, when we discussed the garage storage requirements for the owners, it was obvious that they needed much more. 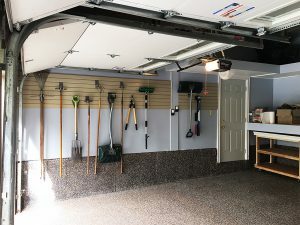 They both love the yard and they are avid gardeners so garden and lawn tools stored in a handy and organized system would make their hobby that much more enjoyable. In addition, they enjoy their beautiful landscaping handy work throughout the warmer months with family and friends. An extensive collection of outdoor patio furniture makes the backyard an inviting dining and entertaining space during the spring and summer. In the winter, a storage space is needed to protect the extensive yard furnishings inside from the cold and harsh winter weather. The garage renovation became the perfect opportunity to create an organized storage system for all these elements of the homeowner’s lifestyle. He’s rather handy but has no dedicated space for his hobby and some of the projects around the house. The garage seemed like a good place to carve out a workspace for this handyman. On top of that, they have two vehicles to park in the garage regularly. Each of these vehicles need a space to store the set of 4 off season tires as they change from winter tires to all season tires in the spring and back again in the fall. 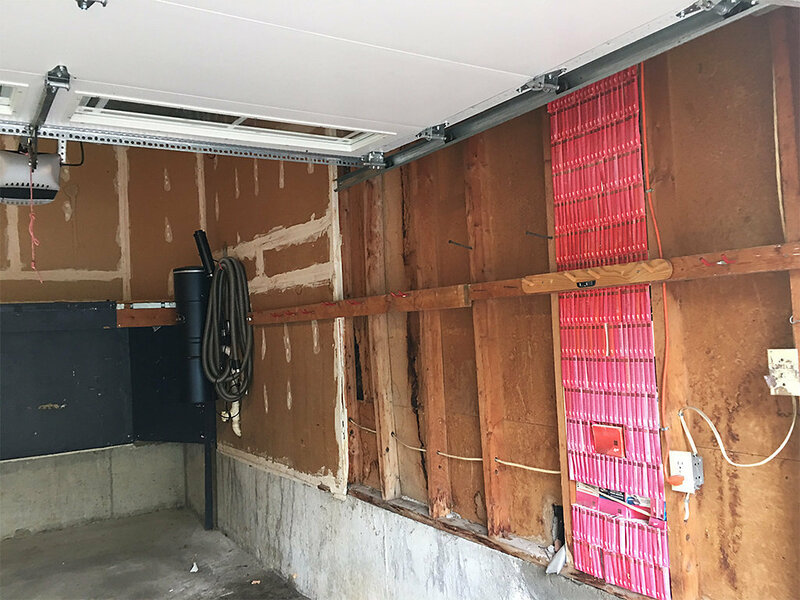 The garage started as most garages from this era with the bare bone wood studs and some basic insulation. The homeowners imagined a more utilitarian and pleasant space which would also be easier to maintain. 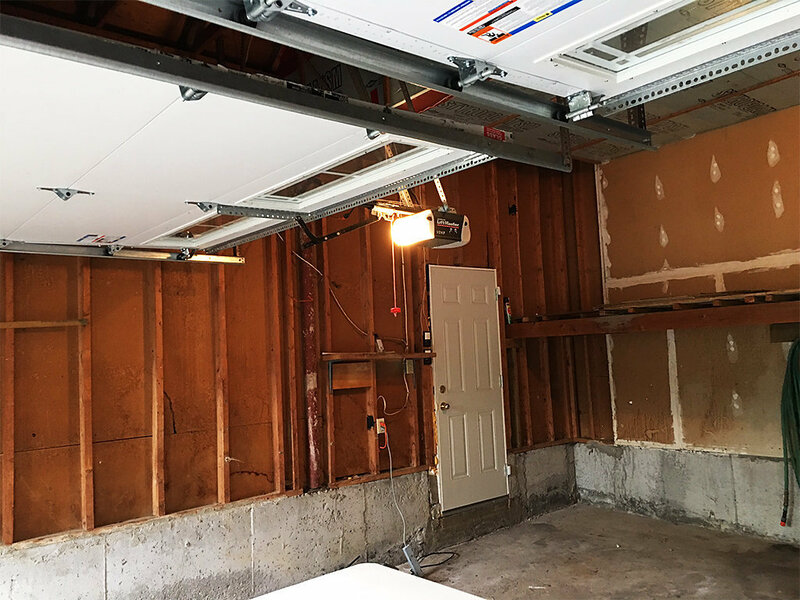 With the taller ceilings in this particular garage, it was easy to add a drywall finish, LED overhead lights, platform storage for patio furniture, overhead storage shelving, slatwall organization systems and a long lasting yet easy to maintain polyaspartic garage floor coating. 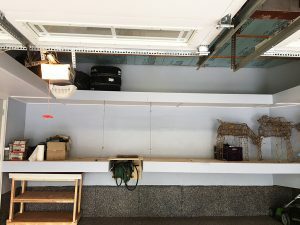 A portable work bench with rolling wheels was created to fit neatly under the platform when not in use for home projects. 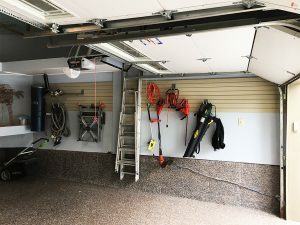 The overall garage renovation took 7 business days and met the $13,000 budget. The garage has become a pleasing space in the home while becoming a much better fit for meeting the homeowners’ storage and lifestyle needs.